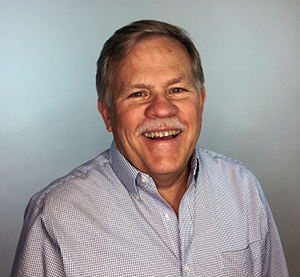 Blue Horseshoe announces the addition of Don Klingstein, a veteran industry leader, as Business Development Manager focusing on Material Handling Equipment Sales. Blue Horseshoe, a global software and services firm specializing in supply chain and logistics solutions, is excited to announce the addition of Don Klingstein, a veteran industry leader, as Business Development Manager focusing on Material Handling Equipment Sales for Blue Horseshoe. Already a supply chain industry leader empowering distribution operations with software, strategy, design and implementation services, Blue Horseshoe is expanding their Material Handling Equipment expertise to be able to offer a complete, turnkey solution to clients. By offering Material Handling Equipment Sales, Blue Horseshoe will augment an already growing portfolio of Material Handling Equipment selection and implementation projects and customers. Klingstein has worked for more than 25 years internationally, establishing three European manufacturing companies in North America, including a German-headquartered ASRS material handling company generating more than 50 projects valued from $500,000 to $40 million each over a two year period. Growing up in his family’s manufacturing business, Klingstein later gained overall sales, marketing and business development responsibilities for multiple companies focused on the discreet manufacturing market. During the last nine years, he worked in sales of CADCAM software, along with ERP, MES and MIS software. A graduate of Eastern Kentucky University, Klingstein earned his MBA from Northwestern University. A long-time resident of Indianapolis, he now lives in Carmel with his wife and daughter. Blue Horseshoe is a privately held solution services firm based in Carmel, Indiana. It provides expert management and strategy consulting to Fortune 500 companies and mid-market businesses across the globe, covering system design and implementation, optimization, and distribution design services. Blue Horseshoe provides custom supply chain solutions tailored for food & beverage distribution, retail supply chain, CPG distribution and logistics and transportation. Horseshoe was founded in 2001 with office locations in Carmel (IN), Columbus (OH), Denver (CO), Charlotte (NC) and Amsterdam (Netherlands).